#tru is a global series of events run by recruiters and for recruiters. Founded by Bill Boorman in London in 2009 #tru events have run in hundreds of cities around the world and Dublin was the second city #tru was ever organised in. #tru is an event for everyone involved in recruitment to learn and share ideas on the cutting edge, practical ideas, ideas solving problems and ideas on how to recruit better. It is an opportunity to meet other professionals from HR, recruiting, talent acquisition, job boards, developers, hiring managers, recruitment thought leaders and anyone with ideas to share about our industry. The Recruitment Unconference is made up of a series of conversations or Tracks. Each Track has a Track Leader with a background in the topic. Track usually lasts for 40 – 45 minutes and there are several running concurrently. You can move between Tracks as you wish, it’s not considered rude and there is no need to stand on ceremony. Get what you want and move on. There are a few simple rules to follow: NO name badges, NO presentations or slides, NO sales pitches or booths. 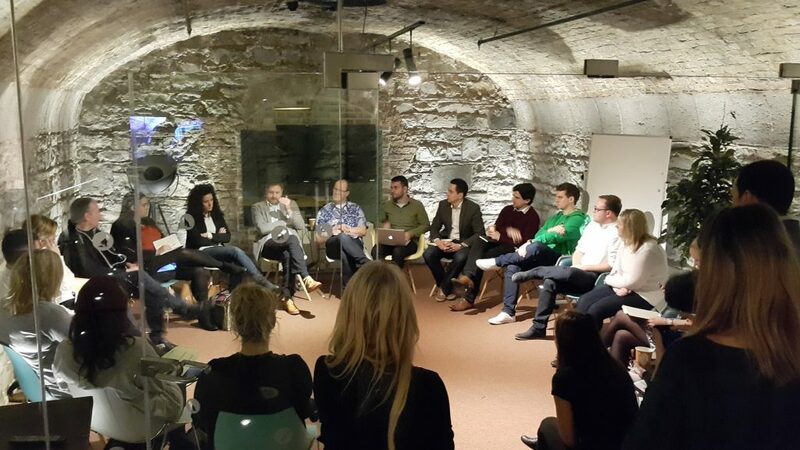 In some cities we are running SHOW & TELL sessions, featuring the best in Talent Technology. Read some of testimonials here. To participate simply buy your ticket via Eventbrite, and contact he organizer directly for everything else! Irish Recruiter are proud organizers for #tru events in several countires. For any queries please contact hello@irishrecruiter.com, we will be glad to hear form you!